Individual Gift Hampers made fresh daily & hand decorated to order delivering Australia wide since 2003. Looking for a high quality individual present that can be delivered Australia wide? We provide personalised hampers that are individually made and hand decorated to order. We deliver each unique creation Australia-wide to all major capital cities including Brisbane, Sydney, Melbourne, Adelaide, Perth, Darwin and Hobart. We use unbranded high quality gift boxes and hand tied ribbons just like you would do yourself. With a successful track record of delivering to all Australian capital cities since 2003, Hamper Me continues to supply gourmet goods that are perfect for all special occasions. As a local independent business, we take pride in supporting fellow Australian suppliers by using the best of Australian gourmet products in every gift hamper we make and deliver. We are also well known for our leading customer service as can be seen by our extensive list of positive Word of Mouth reviews and repeat corporate customers. If you are looking for the perfect last minute gift for a family member or friend, or the ideal present for a special occasion, the easiest solution is to jump online and check out what we have to offer. We have a fantastic range of delicious and delightful items that are ideal for people of all ages and tastes. We are also happy to tailor make hampers for that special occasion and can work with you to create the special present of your choice. For a closer look at our selection, click on your desired category in the left-hand column of our website. Once you have had a browse and found what you are after, follow the on-screen instructions for a simple and hassle free purchase process. We select the finest quality ingredients so that each bite or sip taken is thoroughly enjoyed. From nuts, sweet treats, bubbly, wine and keepsakes, we have it all and they are beautifully packaged for you. We have a huge range of baskets to choose from. However, if you don’t find the very thing you are looking for, don’t let that stop you. We have ‘chocolate hampers’ ‘lollies and sweets’ ‘spirits, port and liqueurs’ sections and more for you to browse. Fear not; if you still don’t find what you’re after, why not contact us or send an enquiry online to find out if we can custom make something to match your budget? We proudly offer a great service to many regular clients and will gladly welcome any enquiries you have regarding our products and how we can help you. An award winner in customer service, Hamper Me takes pride in our high standards of customer care. We service many corporate and private clients, and our measure of success can be seen with the high number of return customers and testimonials we receive every week. 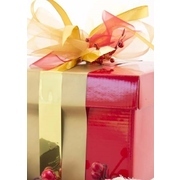 With an extensive and loyal client base we are proud to have become on of Australia's leading gift hamper companies. We provide nationwide delivery to all capital cities and in between. So whether you are based in Sydney and need to send a mother’s day hamper to Melbourne, or if you live in Brisbane and are hoping to send an extra special birthday gift basket to Adelaide, Hamper Me can get the perfect hamper to that very special person easily! Our delivery fee for express next business day to all metropolitan areas is a flat $12 per hamper. All gift hampers are delivered safely and securely in cardboard packaging so you can trust your purchase will arrive in one piece. We can also deliver to regional Australia but you will need to allow extra days for remote and rural locations via Australia Post. If you need it today or have a few to send please call us on 1300 085 949. The beauty of gift hampers is they can be bought online. Not only does this mean it can be done from the comfort of your own home or office, it means you beat the shopping rush. The shops are notorious for being a crazy place to be at Christmas and Mother’s Day. Along with the car park shuffle and possibly taking more time to find a park than you can spare, you have to fight the crowds indoors. People pushing and jostling past you and then waiting in line to be served can spoil your spirit and make shopping for gifts less fun. By buying your online you not only avoid all the unnecessary drama, but you also save fuel and therefore, money. Saving fuel, saving time, avoiding stress, why would you buy your gifts any other way? Holiday season hampers such as Christmas hampers can be in high demand, so be sure to get in quick and order early this holiday season! It is always important to get in early to place your order to make sure you don’t miss out on the best items we have available. Follow us on social media and stay up to date on our website to check the availability. With so many companies across Australia, what makes Hamper Me so special? Many online gift hamper companies only service their local city or state, however with us you have the flexibility to deliver across the country. No matter if you are located in Darwin for example and your giftee is located in Hobart, we can send interstate with ease on your behalf. To add an extra special personal touch, we give you the option to write your own personalised message that will be included under the ribbon when they open the box. Whether it be gourmet foods, chocolates, wines or organic beauty products, most of the products we use are the best available from all over Australia, made by locals and owned by locals. Can’t find anything that matches the tastes or interests of your loved one? We are more than happy to custom make something special for your friend, family member or colleague. Feel free to contact us to discuss your ideas and we can make your ultimate ideas come to life. We care about turning your gift ideas into a reality. With award winning customer service, you can trust that you will receive the very best service from us when choosing the ultimate suprise for any occasion. If you have any questions or if you would like to discuss your options for something tailor made, give us a call on 1300 085 949, send us an email at enquiries@hamperme.com.au or send us an enquiry form on our contact us page. With simply beautiful gifts online you can’t go wrong with Hamper Me. Thank you Helen. It's so lovely to deal with you and I would be most pleased to give you any endorsements to help broadcast what a very caring and thoughtful business you conduct. I owned a shop myself in Coffs Harbour and have dealt with numerous businesses good and bad and always prided myself on great customer service. That you give in spades. Thank you so very much for the special care and pride in your work.